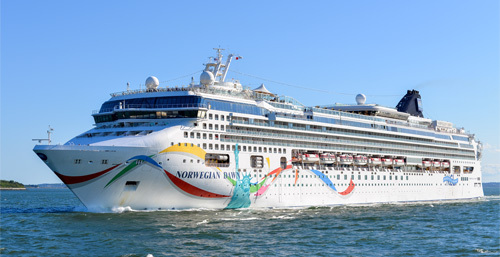 Norwegian Dawn, operate by Norwegian Cruise Line. 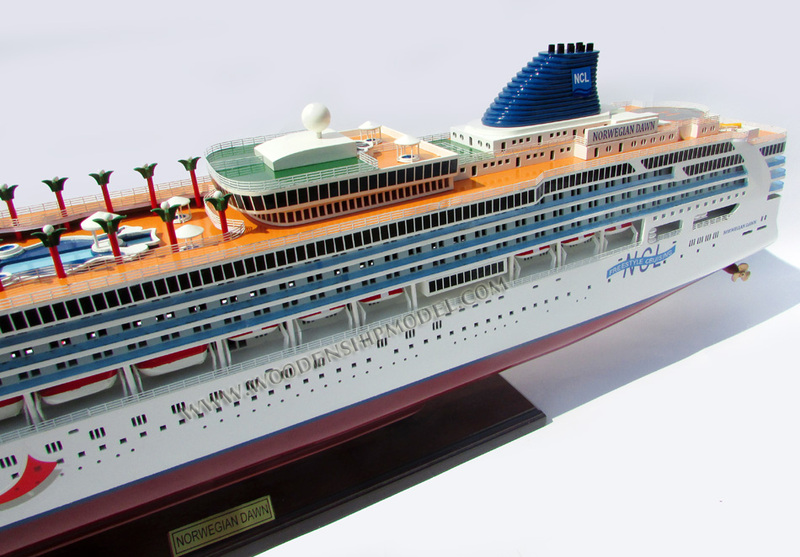 The ship was completed on December 4, 2002 at the Meyer Werft Shipyard in Papenburg, Germany and sailed her maiden voyage in Europe on December 7, 2002. 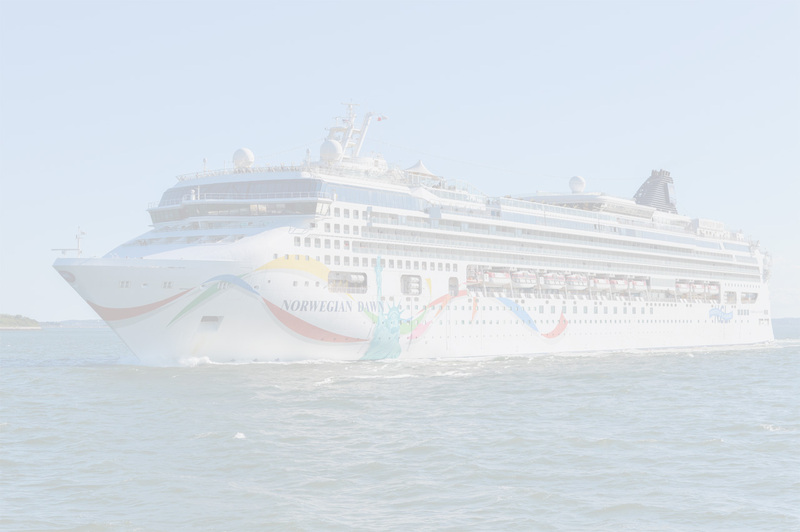 She was intended to operate with Star Cruises under the name SuperStar Scorpio, but it was decided that she would be delivered to Star's subsidiary, Norwegian Cruise Line as Norwegian Dawn. 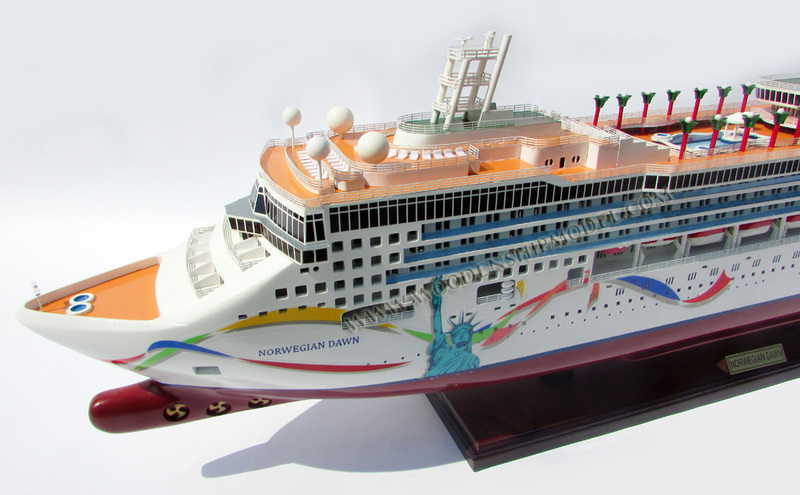 Norwegian Dawn was christened December 16, 2002, in an elaborate ceremony in Manhattan by actress Kim Cattrall. 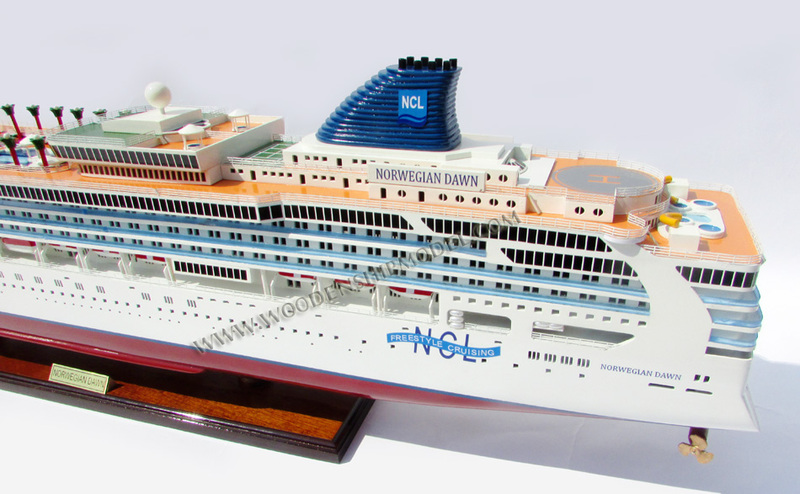 Norwegian Dawn was the first NCL vessel to carry hull art. 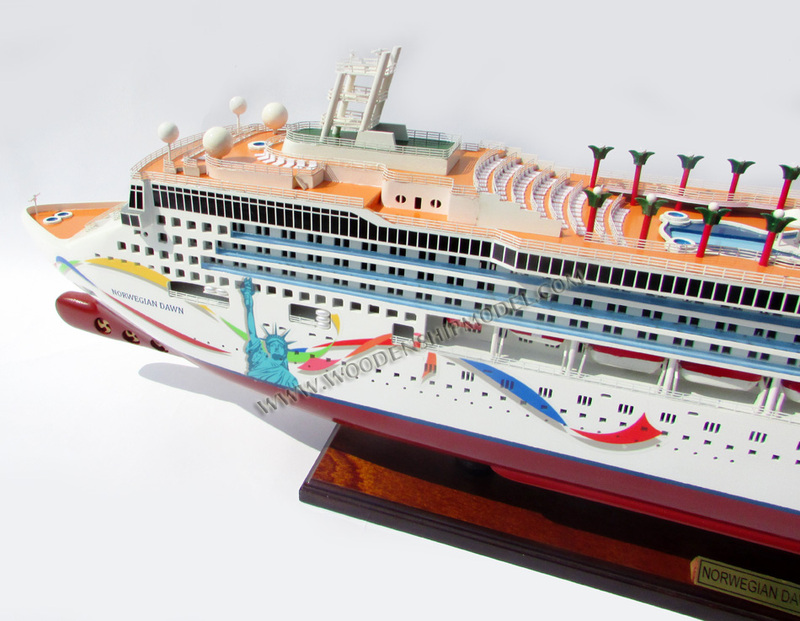 Planned as a way to promote the vessel, the concept was well received and hull art was incorporated on most other NCL vessels, with the exception of those vessels scheduled to transition out of the fleet within the next few years.